I can't believe that Christmas is so close. I thought that I was doing well with holiday prep until I realized that I haven't even started to think about sending out my Christmas cards. It seems other people are more on top of their game since I have already received a number of cards from people that got their cards out early. I am determined that I will have mine sent out by the end of the week. My kids are in full on Santa mode. Everything is about Santa, they live and breath everything to do with Christmas. Today we talked about what I was going to make for Christmas, which to me seemed important, but to my two kids it just distracted from the presents. Food is an after thought. Regardless of what my children think I will make a great meal and we will enjoy it thoroughly. Until Christmas rolls around I am trying to keep our meals simple and light. Last week I tried a new recipe for Dolore's Brokenhearted Chicken from Saveur magazine, which looked perfect for a weeknight meal. This recipe has 9 ingredients. It takes an hour and 10 minutes of total time, 30 minutes of which is active and makes 4 servings. I had no problems finding any of the ingredients at my local grocery store. Instead of buying a whole chicken, I bought chicken thighs. Honestly, I hate cutting-up chickens and I prefer thighs to most other cuts. As I always do I used a stainless steel skillet. They work much better at browning chicken than non-stick pans. Since I don't eat gluten I used gluten-free all-purpose flour instead of regular wheat flour. Make sure to baste the chicken during the time in the oven. This really does help keep the chicken moist and flavorful. I followed the remainder of the recipe as written. My two boys were big fans of this recipe. The chicken came out tender and the caramelized garlic was delicious. The recipe was simple, but the sherry and garlic made for a flavorful dish. This chicken would work well with a simple side such as green beans or rice pilaf. Overall, an easy roasted chicken recipe that is very child friendly. For the recipe go to Caramelized Garlic and Dry Sherry Chicken. This looks delicious. It is for sure something I would consider making. Thanks for sharing! Thanks :) It really is an easy recipe and my kids loved it! Looks delicious! I love a quick recipe. 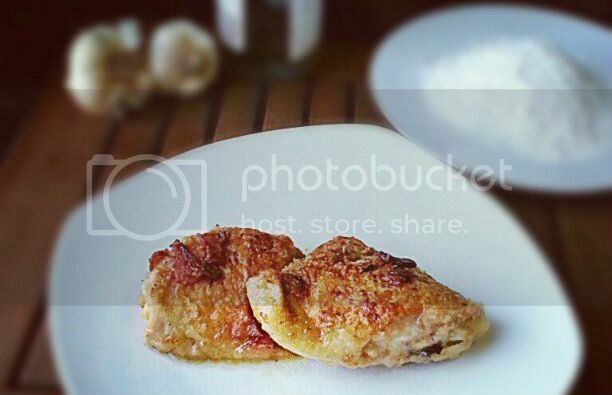 Why do you prefer chicken thighs when cooking? I ask because I am always looking for tips. :) Thanks so much for sharing! Thanks :) Chicken breasts have a lot less fat so they tend to dry out much easier. Since chicken thighs are higher in fat they don't dry out and work better in dishes that need a higher fat content. Hope that helps! Caramelized garlic? OOooh, that sounds so good! My husband wants to start doing a "fancy dinner" at home where he cooks and I told him to visit your blog for ideas! YES! Thanks for the recommendation :) I entered your giveaway, the journals are beautiful! I agree on caramelized garlic also, yum!